After several years of development, Stephen King's iconic novel IT is finally heading to the big screen, with New Line Cinema setting a September 8, 2017 release date. 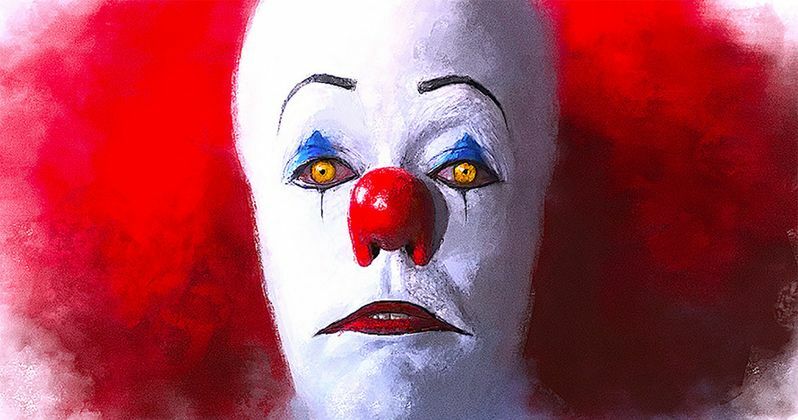 Yesterday, director Andres Muschietti revealed that production has gotten under way on this horror adaptation, teasing the logo, as seen on the back of his director's chair. But there is another illustration that is even more intriguing and revealing. A quick glance at the filmmaker's social media profiles reveals what could be an early, yet crude, look at the new Pennywise. Director Andres Muschietti's Instagram was updated yesterday with a photo of his director's chair, and also over the weekend with a photo featuring his production office. However, a photo from 21 weeks ago offers a hand-drawn glimpse at his version of Pennywise. We reported last month that Bill Skarsgard (Hemlock Grove) has come aboard to play Pennywise, but it isn't clear when we'll get our first official look at this iconic character. The cast also includes Finn Wolfhard, Jack Dylan Grazer, Wyatt Oleff, Chosen Jacobs and Jeremy Ray Taylor as members of the Losers Club. Owen Teague has signed on to play Patrick Hocksetter, a psychopathic bully who torments the Losers Club. Patrick is said to keep a refrigerator full of the animals he has killed, although it isn't known if any of the other bully's in Patrick's group have been cast. The story will be split into two movies, with the first centering on the young kids of The Losers Club as they must face their fears and defeat the evil clown Pennywise. The second movie will feature the same characters reuniting as adults who must put down this creature again, even though none of them remember the first encounter. New Line has set a September 8, 2017 release date for IT. Andres Muschietti (Mama) is directing from a script most recently written by Gary Doberman. Andres Muschietti stepped in to replace Cary Fukunaga back in July, after he left the project due to creative differences. We reported last May that the movie will be shot in New York City, but another report from February revealed that the adaptation will be R-rated and shoot in California. Take a look at the first photos from the set, and stay tuned for more from IT.